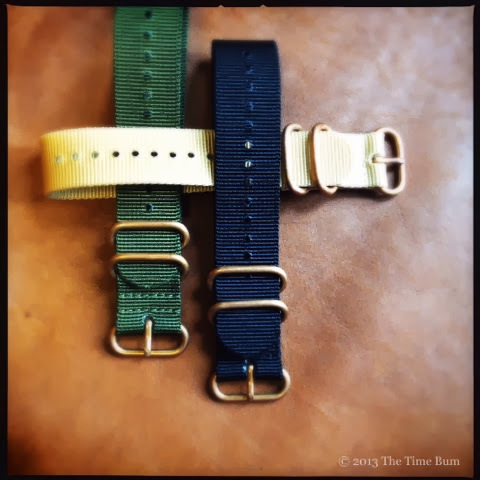 It should be no secret to readers that The Time Bum is a big fan of Crown & Buckle, and has amassed more than a few of their straps, several of which have already been featured in watch reviews on this site. They offer wide selection of quality straps, all of which are offered at very reasonable prices. 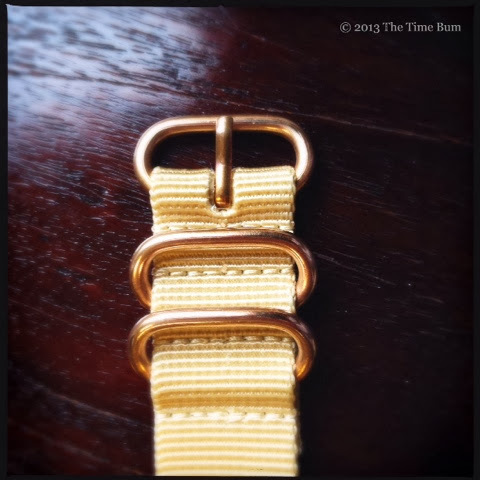 Earlier this year, they answered the prayers of bronzo owners everywhere and released a new line of heavy duty nylon NATO straps with bronze hardware in a range of colors and in 20, 22, and 24mm widths. 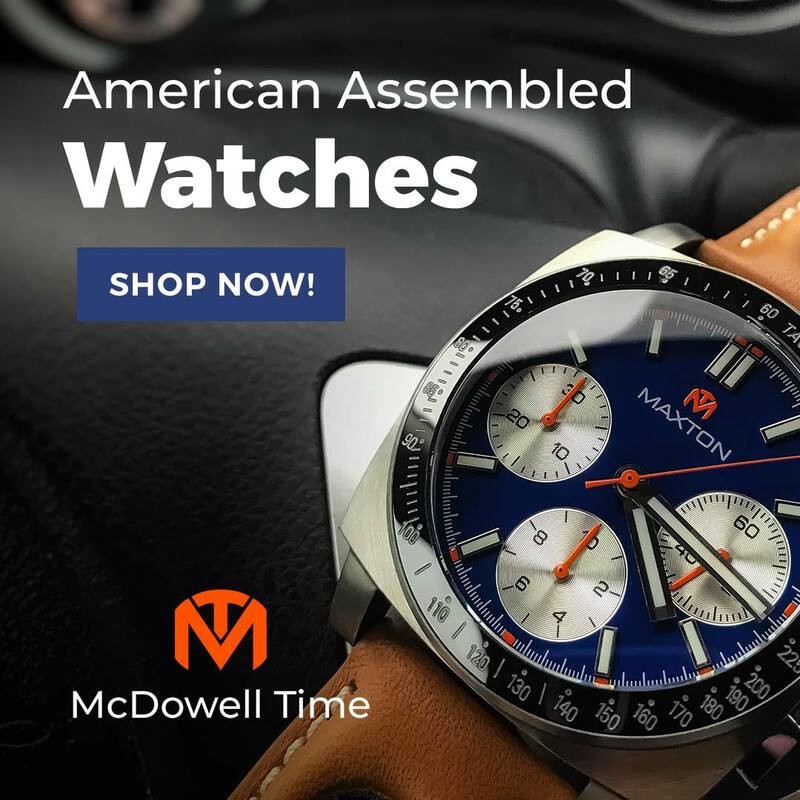 They sell for $15 each, with a $2.50/strap discount for purchases of three or more nylon straps. C&B sent three for evaluation, in Sand, Black, and Olive. 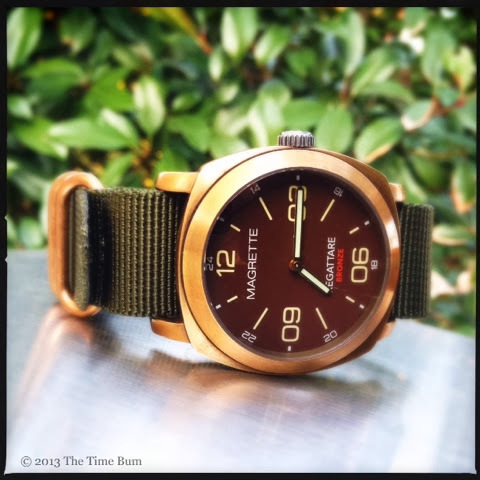 The bronze HD NATOs are single piece straps with rounded hardware and no secondary strap. 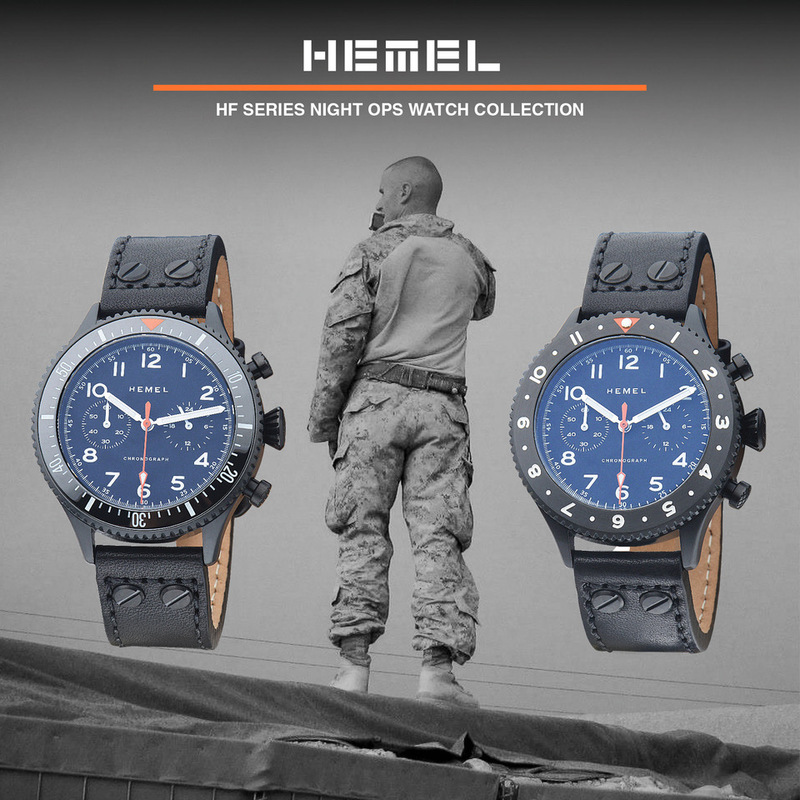 The HD NATO is constructed of a heavy weave, 1.6mm nylon and 3.25mm thick, rounded hardware that others might refer to as Zulu style. If you are familiar with typical NATOs, you will immediately notice the heft of these straps. Standard NATOs are by no means flimsy, but I can only imagine the force necessary to break a buckle on one of these. Each strap is both heat sealed and stitched, which may seem like wearing both a belt and suspenders, but makes for a very strong bond. Rest assured, that hardware is not going anywhere. Stitching also looks more finished than heat sealing alone. But enough about the construction. What really makes the straps special is the hardware. C&B offers these as "bronze/brass" and makes no guarantee of which because the metal has not been tested to confirm the composition of the alloy. The understand why this is in question, you need to know a little about the metal itself. A "true" bronze would be 90% copper and 10% tin. Statuary bronze is 97% copper. 2% tin, and 1% zinc. Commercial bronze is 90% copper and 10% zinc. A bronze alloy containing more than 11% zinc is brass, but the formulations do not stop there. Bronze alloys may contain silicon, manganese, aluminum, zinc, and other elements with or without tin, and the precise recipe can vary greatly between manufacturers. This variety affects the color of the metal, as well as its appearance over time, which brings us to another characteristic of bronze, the patina. Bronze has what one might call a "living" finish. Exposure to the air and other environmental conditions such as salt or pollution cause it to react, most commonly in a benign form of brownish oxidation that darkens the metal over time. 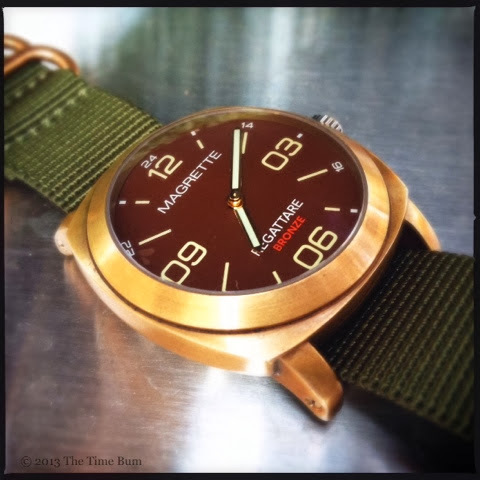 This patina is desired by many, and is the very reason they buy bronze watches. Others prefer the clean look. Fortunately for all, the patina is as easy to remove as it is to generate. 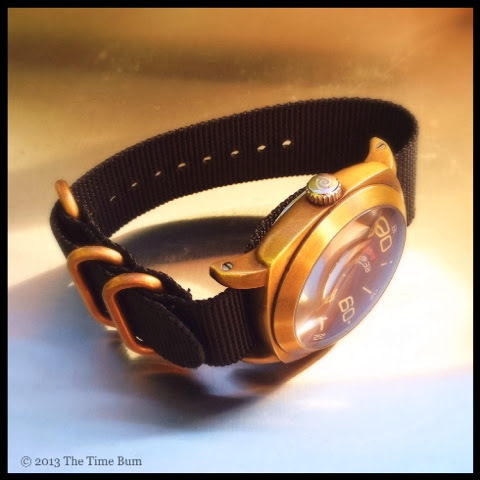 It is all great fun for the bronzo owner, but given the varied and mutable nature of the metal, it is best to evaluate the bronze in our watches by eyeball, not by label. 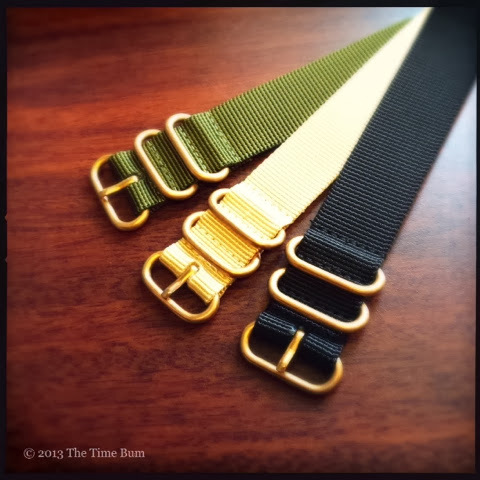 The alloy used for the C&B straps appears to be on the red side of the spectrum. As shipped, they displayed a natural patina, and the warm color I generally associate with bronze. I am a patina guy myself, but curiosity led me to pull out a polishing cloth. There are dozens of ways to remove the oxidation, from lemon juice, to toothpaste, to ketchup. I used a dry cloth impregnated with silver polish. No matter what the patina may look like on the metal, it comes off as a nasty greenish brown, and while it probably would have washed off the nylon, I preferred not to test it. A relatively dry method made it easier to keep the residue off the material. Very little effort revealed a bright, salmon tinged color. I am no metallurgist, but I suspect that indicates a high copper content. It was surprising to see how much the natural oxidation process had darkened the metal and improved the color. 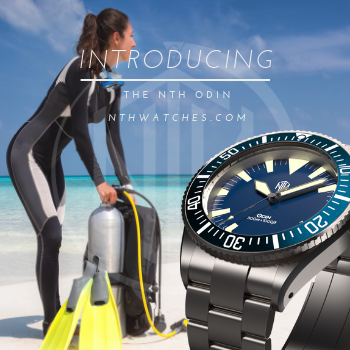 Not all bronzes are the same, so even a new watch with a new buckle might not match perfectly. 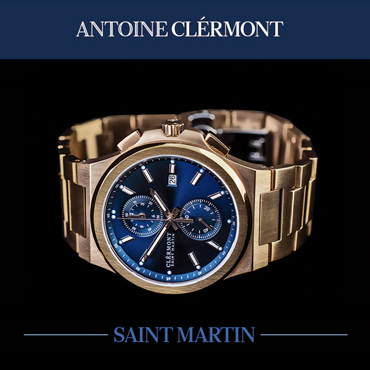 If the variation is too great for your taste, you might try wearing it with the watch head positioned towards the middle, so the two ends are proportioned more like a two-piece strap, and the buckle and hardware will be on the underside of your wrist, away from the case, and slight differences will not be apparent. Pro: Strong, handsome, and inexpensive. Con: No option for a secondary strap. Sum: The Time Bum approves.